Home / Dissent NewsWire / Will the Senate Torture Report Disappear? Will the Senate Torture Report Disappear? 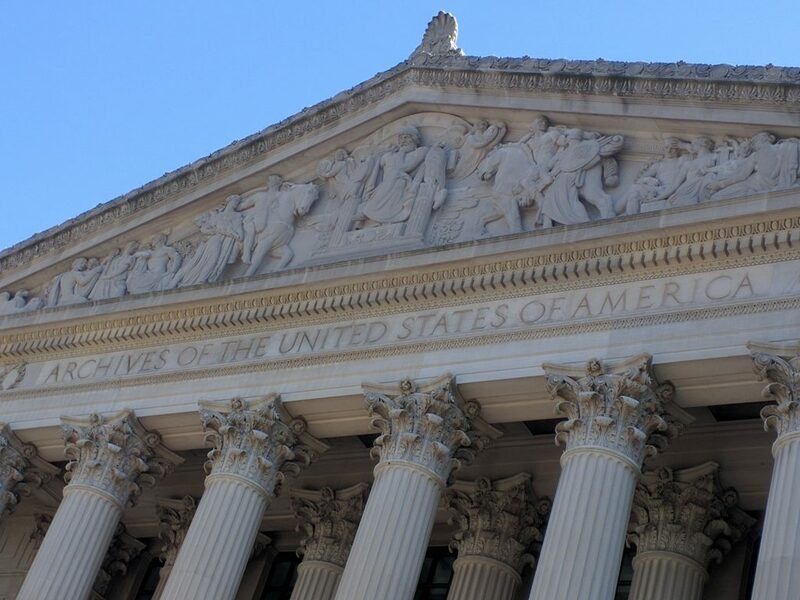 The National Archives and Records Administration (NARA) is tasked with preserving all federal records. When the Senate Intelligence Committee transmitted its report on the Central Intelligence Agency’s systematic use of torture to the President, the Director of National Intelligence, the Director of the CIA, the Attorney General, the Secretary of Defense, the Secretary of State, the Director of the FBI, and the CIA Inspector General, this report became exactly the type record NARA is required to preserve. The transmittal letter from then-committee Chair Sen. Dianne Feinstein explained that the report should be entered into the executive branch system of records and widely used within the executive branch to make sure nothing like the torture program ever happens again. By entering it into their own records system, for their own continued use, the agencies in question would clearly make the report part of their own records, and thus a federal record, as opposed to, merely a Congressional record. Yet shockingly enough, there is some question as to whether the torture report will be preserved. Even though federal law gives NARA the sole responsibility for determining whether a record is a federal record and makes NARA’s decision binding on all government agencies, NARA is refusing to answer any question as to whether the torture report qualifies as a federal record. Why? Because they were advised by the Department of Justice (DOJ), one of the very agencies bound by NARA’s determination, not to answer such questions. The Department of Justice is currently arguing in an ongoing Federal of Information Act (FOIA) lawsuit that the report is not a federal record and thus not subject to disclosure under FOIA. While DOJ is free to argue what it likes in court, by instructing NARA to refrain from making a determination about the torture report until the lawsuit is complete, DOJ is perverting the intent of federal law and turning the system of federal records preservation upside down. Afterall, it is NARA’s determinations that are binding on DOJ–not the the other way around. The DOJ is currently arguing in court that the torture report is not a federal record, but a congressional record. Congressional records are exempt from FOIA. Their claim has been bolstered in part by torture apologist and current Senate Intelligence Committee Chair Sen. Richard Burr. Burr, an outspoken critic of the Senate torture report, replaced Feinstein as committee chair after the Republican Party became the majority party in the U.S. Senate. Burr took the step of writing to agencies that his predecessor had transmitted the report to and requested they return all copies of the report. He also wrote to the White House instructing them not to enter the report into the executive branch system of records, the very opposite of what Feinstein instructed. Whether the report should be entered into executive branch system of records may seem like an overly esoteric debate, but as Jason Leopold explained Burr is attempting to keep the torture report from seeing the light of day. The only reason, per Leopold, for Burr to even bring up the executive system of records is to make the report exempt from FOIA. Feinstein clearly intended the report to become a “federal record,” hence why it was transmitted to multiple executive agencies with the request that it be entered into executive branch system of records. The purpose of the report was to serve as a tool for executive agencies, so that they would not repeat past actions–which clearly make the report an agency record. Yet, Burr–in order to keep the report from the light of day–is attempting to retroactively change this. And the DOJ is using these actions to bolster their own claims that the report is exempt from FOIA. BORDC/DDF has joined with a group of open government, human rights, civil liberties and media organizations, in sending a letter to NARA requesting that they act under their statutorily responsibilities and classify the torture report as a federal record. The letter also requests that NARA meet with the groups in question to discuss the preservation of records relating to CIA torture, including the “Panetta Review.” The Panetta Review is the CIA’s own review of its torture program, which allegedly confirms much of the conclusions of the Senate torture report. Copies of the Panetta Review were in possession of the Senate Intelligence Committee, but the CIA has claimed that the report was merely a draft and thus privileged and requested it be returned. Feinstein refused to do so, but Burr in yet another brazen attempt to keep information about CIA torture from reaching the public has attempted to return it. The Panetta Review is also subject to ongoing FOIA related litigation. The Senate study began as an examination of the CIA’s destruction of crucial video records of the torture program, which occurred without NARA’s knowledge or authorization. It would be sadly ironic if NARA knowingly allowed the Executive Branch to return the most comprehensive history of the CIA torture program. Torture is a war crime under international law and is thus prosecutable under federal statute, including the (severely weakened) War Crimes Act. It is thus of the utmost importance that these reports, which document and review potentially illegal acts not be physically erased from history. To date these reports represent the only accountability for war crimes committed in the post-9/11 era and one of the few instances of Congress fulfilling its Constitutionally proscribed oversight role. While these acts are insufficient in of themselves, it is unconscionable to allow them to be reversed, which is what would essentially be the result if the Senate Report or Panetta Review were not preserved. The public also has a right to know about crimes committed by our government, including CIA torture. Deliberately failing to preserve these reports is an attempt to subvert the statutorily required records system to deny the public this right.